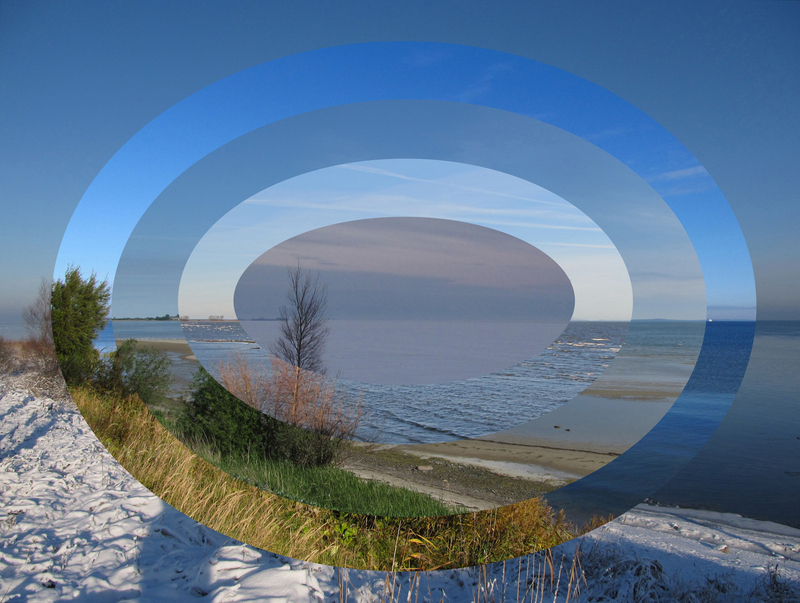 The image presents five ‘temporal rings’ of a coastal scene in NE-Germany combined in a ‘Chronoptychon’ (term derived from Diptychon). I was inspired to this type of artwork by my research. As a dendrochronologist, I reconstruct past environmental conditions from tree rings. Like in tree rings, several environmental parameters (season, wind, water level, snow, ice etc.) are stored in each of the temporal rings: An ideal metaphor for my fascination about the story that trees can tell.